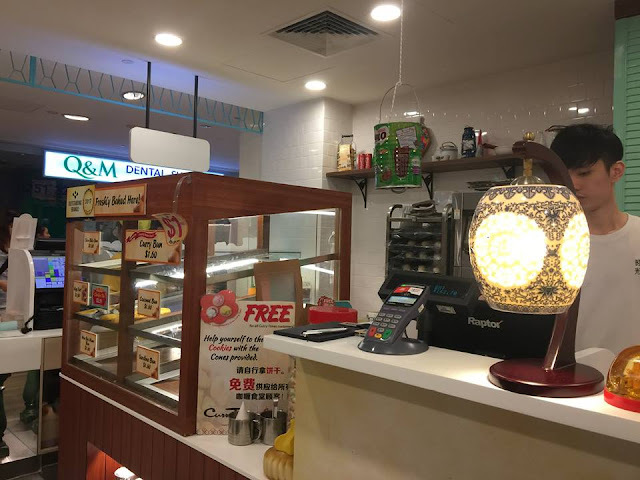 Home / best food in singapore / curry times chinese new year review / curry times novena menu / curry times review / nasi lemak with sambal sotong singapore / where to eat at novena / Curry Times has a new innovation: Nasi Lemak with Sambal Sotong. Shiok! I grew up in an environment where my parents greatly influenced my taste for good food. Memories of my childhood are mostly food-centric — my dad often drove us around Singapore to eat supper in the wee hours of the night. Back then, one of our favourite restaurants for dinner was the Curry Times restaurant in Novena Square. 5 years later, I was there to try their new Nasi Lemak with Sambal Sotong and other popular favourites. Attended with representatives from Ivanteh_runningman, Jelly Magically, msginginly, cptslowyeo and Purple Taste. Get $10 OFF on other restaurants by booking a table through this link https://cho.pe/hbLei . I think Curry Times makes a great place to eat at for large families during Chinese New Year. They've got really good local cuisine with a really comfortable, unpretentious ambience and you won't have to break the bank for that family treat. It was not quite what I remembered of the place. Curry Times is now a modernised kopitiam, and the kampong spirit very much remains. Like its Old Chang Kee counterpart, Curry Times is a halal establishment. 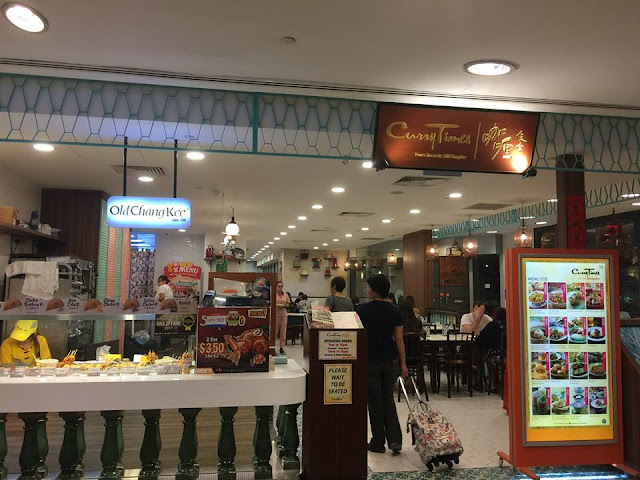 In fact, you can buy the food from Old Chang Kee and dine at the restaurant! 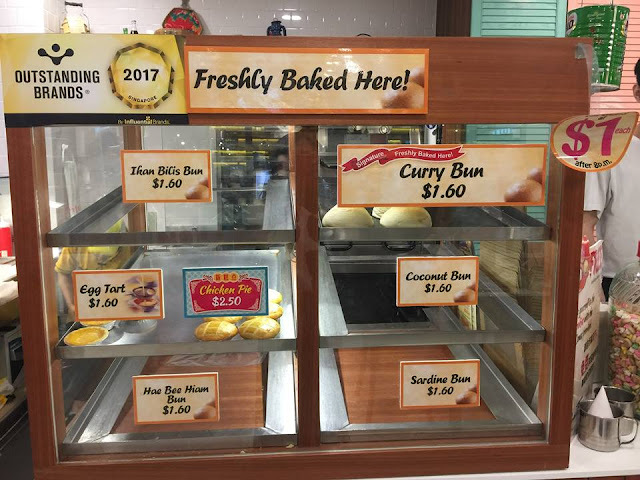 A digital display at the storefront seems pretty out-of-place when the Curry Times signage is fashioned in a old-school font typeface carved on a wooden board. I was amused at the milo tin hanging from the ceiling, a detail that makes me wonder if this was how stall owners used to keep their cash. The walls of the restaurant was also decorated with artwork that show Singapore in the old day and bird cages hung from the ceiling. The hearty Fish Maw Soup (S$11.90) reminds me of my mum's cooking. It's a simple bowl of fish maw, fish balls, carrots, meatballs, and coriander. For those who love setting their tastebuds on fire, this newly launched Sambal Seafood O Curry Puff (S$3.50 for 2 pcs) is sure to do the job. Melissa and I both realised that our tongues were not made for sambal, so we couldn't take it after two bites. I can imagine many people falling in love with this though! The Steamed Tofu Beancurd With Chye Poh (S$7.50) has a great texture, but the flavours pale in comparison for the rich food that we ate before. I suggest starting with this as an appetiser first! Call me bias, but I really loved all three mains that we've tried— Nasi Lemak With Sambal Sotong (S$10.90), Dry Laksa Goreng (S$8.50) and Sambal Ikan Bilis Bee Hoon (S$2.50). The sambal sotong was really spicy but the fragrant coconut rice dampened that spicy effect. Ivan mentioned that the Dry Laksa Goreng is a dish that he usually orders — and I can see why. It is so addictive! If I ever have a foreign friend visiting Singapore, I'd definitely get him to try this dish. The Sambal Ikan Bilis Bee Hoon is only available for breakfast. Unfortunately, I can't give a review on the Sambal Lady's Finger (S$6.20) because I don't eat Lady's Finger. The 8-pc Prawn Fritters ($12.90) is delightfully crunchy and the meat was sweet and fresh. I also enjoyed the Seaweed Sauce Fish Fillet (S$8.90). Don't miss the Curry Fish Fillet (S$9.90)— the boneless meat and their signature curry makes it a real enjoyable experience. The Coffee Chendol (S$4) is really strong and caused me a sleepless night. It tastes great with the adzuki beans, attar seeds and green jelly noodles. From left to right: Winter Melon With Lime Juice & Basil Seeds (S$3), Bandung (Rose syrup and milk) With Basil Seeds (S$3) and Umbra Juice with Sour Plum (aka Buah Long Long). My personal preference is still the traditional kopi-O and Teh-peng kind of drinks! The Bubur Cha Cha is highly recommended. Originating from Malaysia's Peranakan Nyonya, the Bubur Cha Cha is a bowl of warm coconut milk and pandan leaves, prepared with sweet potato, yam taro cubes and tapioca sago balls. Sedap!